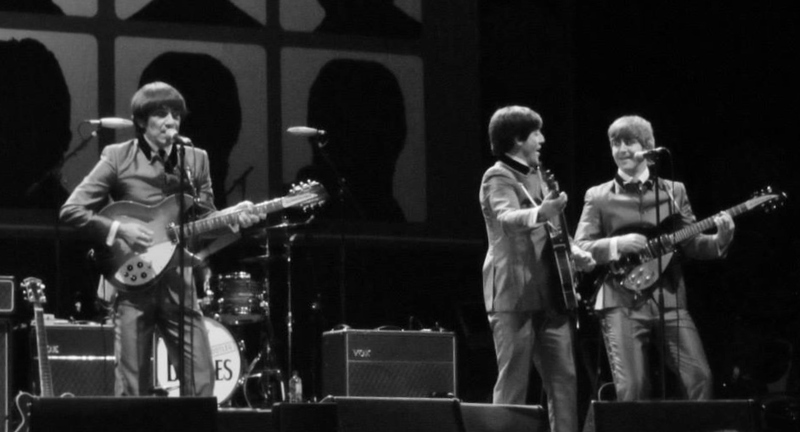 The world’s first tribute act and number one tribute to The Beatles, the Bootleg Beatles returned to the Sheffield City Hall for their Christmas show on Thursday 12th December 2013. 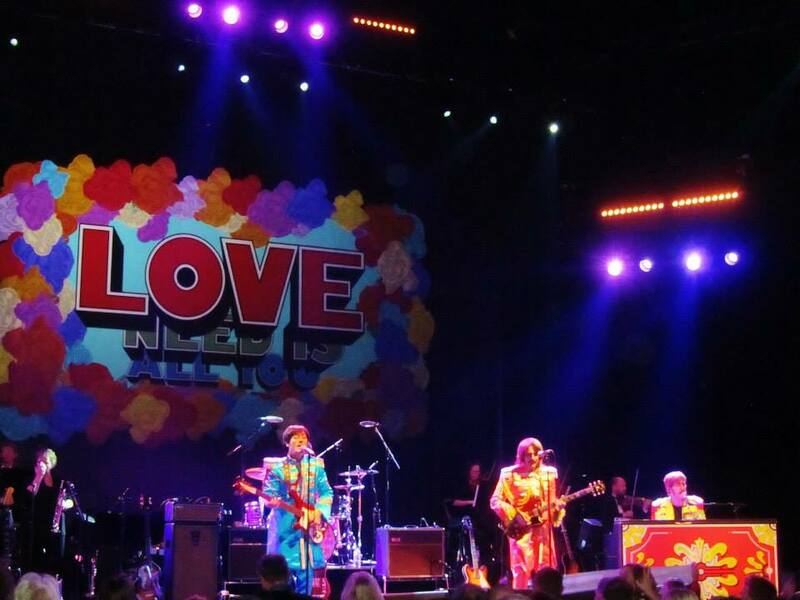 In front of a crowd of all ages, the group performed hits from every stage of the Beatles’ incredible career and magnificently recreated the experience of seeing the most famous band of all time live. Read a full review below. Formed in 1980, the Bootleg Beatles have had a hugely successful career in their own right and have performed over 4,000 shows to date, including a slot at this years Glastonbury Festival. After seeing the Bootlegs at the City Hall last year, I knew that an opportunity to see this excellent recreation of one of my favourite bands was not one to be missed. 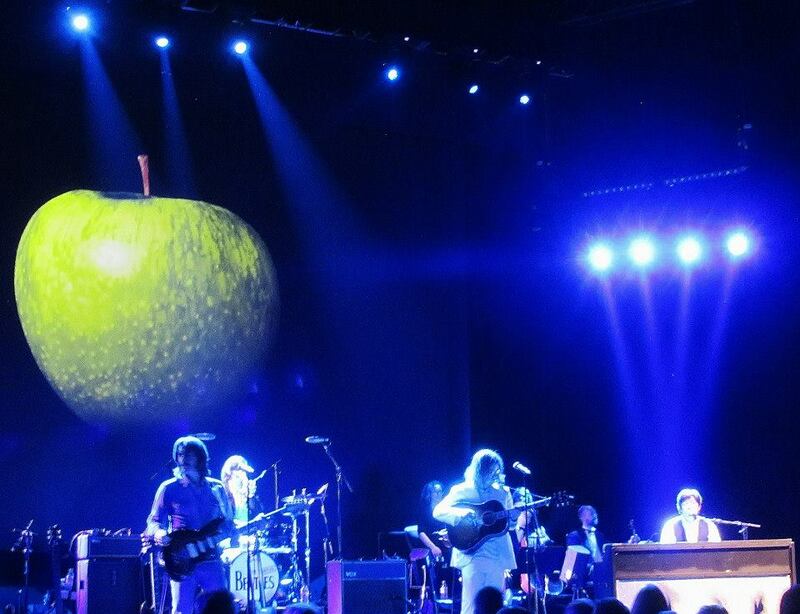 The group consists of Adam Hastings as John Lennon, Steve White as Paul McCartney, Andre Barreau as George Harrison and Hugo Degenhardt as Ringo Starr. All the members do an excellent job of emulating the performance and mannerisms of the band, complete with the famous scouse wit. 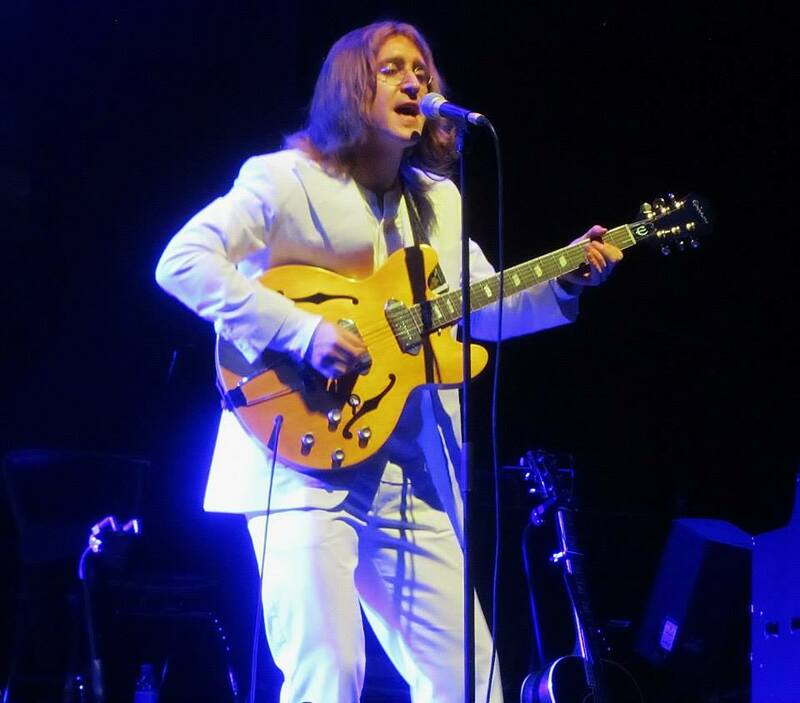 Hastings does a particularly excellent job of mimicking Lennon with his dry humour on stage, as well as looking and sounding remarkably like the real thing! 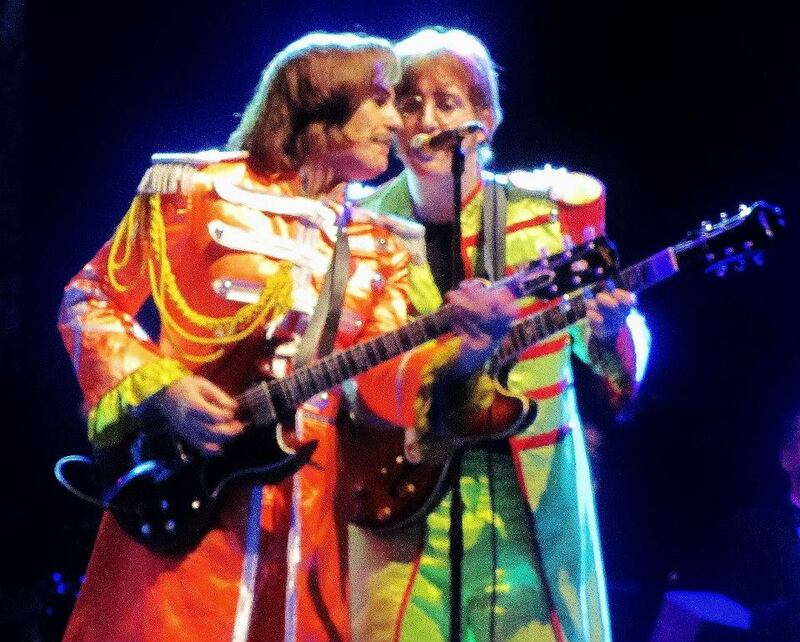 The show consists of four parts which progress through the Beatles’ career. 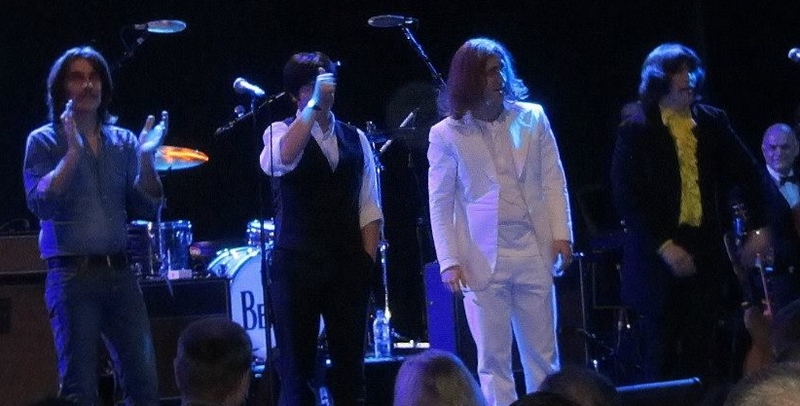 They came on to the stage sporting the famous ‘Beatle haircuts’ and suits from the outbreak of Beatlemania. 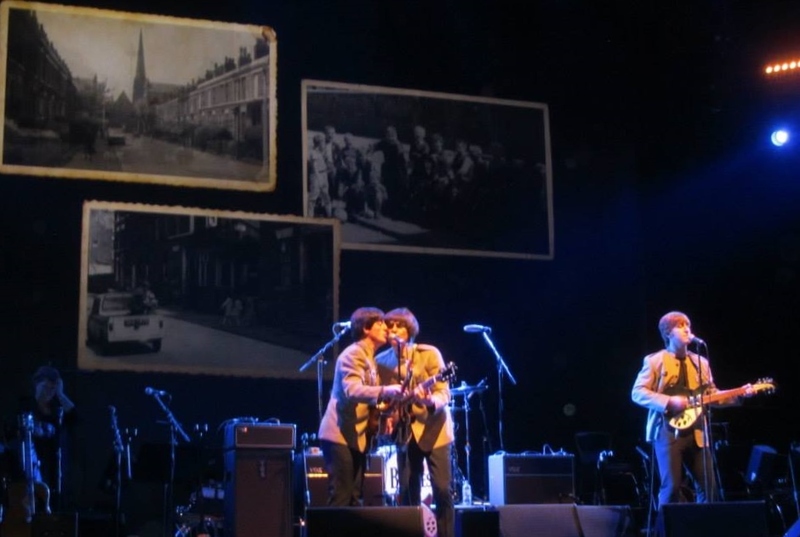 The show opened with ‘A Hard Days Night’, before playing a number of other tracks from their third album. 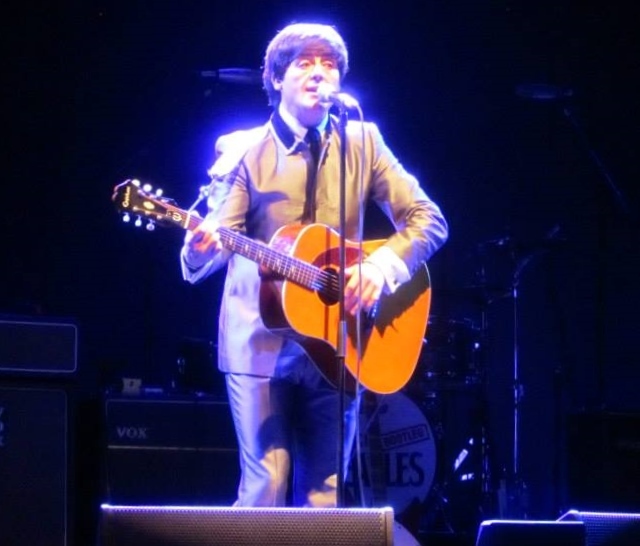 This was followed by a couple of earlier hits including ‘She Loves You’ and ‘I Want To Hold Your Hand’ before ‘Paul’ was left on stage alone to perform a beautiful solo rendition of ‘Yesterday’. 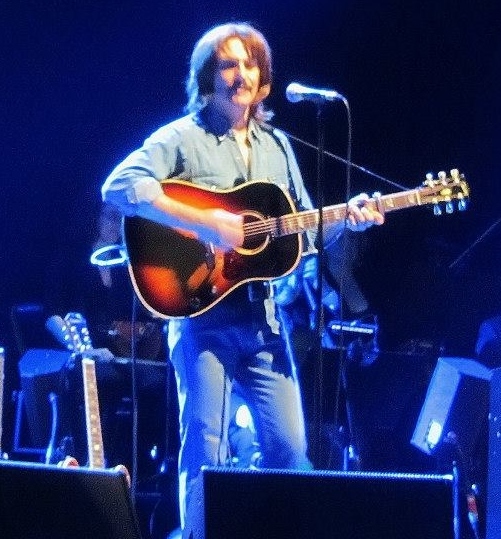 Steve White is the newest member of the band, having played the role of McCartney since 2012. However, he does an excellent job, playing the famous Hofner Bass perfectly and clearly portraying his mannerisms throughout. Following this short interlude, the four piece returned with ‘Sgt Peppers Lonely Hearts Club Band’ – and of course wearing the world famous ‘Pepper’ outfits. ‘Ringo’, who has been performed by Hugo Degenhardt since 2003, then got his moment in the limelight performing the vocals on ‘With A Little Help From My Friends’, which went down well with the crowd who joyfully chanted ‘Ringo’. The classics just kept on coming as the band performed songs songs from the psychedelic era. ‘Lucy In The Sky With Diamonds’, Magical Mystery Tour, I Am The Walrus, Penny Lane, All You Need Is Love, Got To Get You Into My Life, a reprise of Sgt Pepper and a super version of ‘A Day In The Life’ were played before all but ‘George’ left the stage. Andre Barreau, the only remaining ever-present member of the group, played a fantastic solo acoustic ‘While My Guitar Gently Weeps’ to the Sheffield crowd. Songs from the Abbey Road era concluded the show with the likes of ‘Come Together’, ‘Get Back’, ‘I’ve Got A Feeling’ and ‘Here Comes the Sun’. ‘Paul’ then took up position at the piano to play ‘Hey Jude’, a song which of course had the entire crowd singing along. The group then briefly disappeared before coming back for a final encore of the Abbey Road medley and ‘Back In The USSR’. It was a superb performance from the greatest Beatles tribute band on the planet. If you are a fan of the Beatles, or are just looking for a great nights entertainment, then a trip to see the Bootleg Beatles is an absolute must. A very nice review Ryan.